Welcome to New Brunswick, one of Canada’s Maritime provinces! Here you’ll find just about everything found in Canada – mountain and flatlands, freshwater and saltwater, urban centre and incredible natural landscapes, and French and English. There’s a wide array of things to do here in the province! And to prove my point, here are the top 5 things to do in New Brunswick. 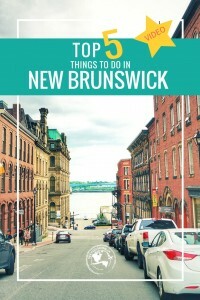 What else should travellers do in New Brunswick? Please share in the comments below! Video: Mount Carleton Provincial Park – From the Air!